We’ve all heard about Marrakech weddings. 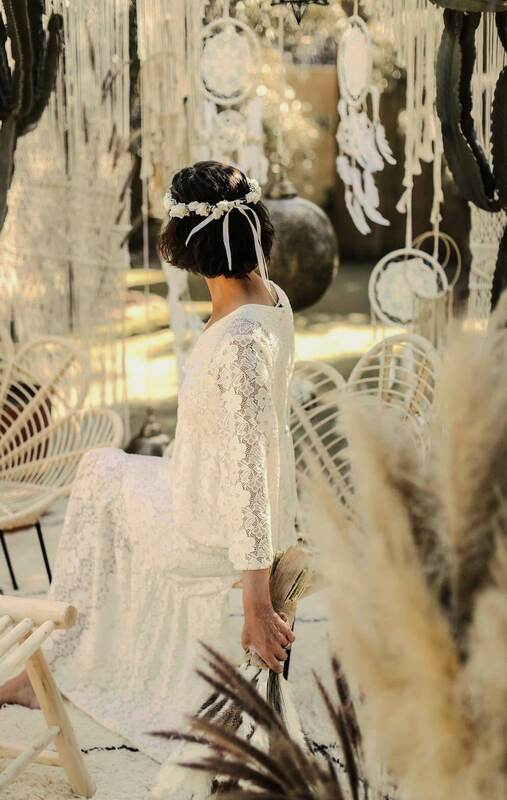 Some of us even experienced a weddings in Marrakech. Other went even too many Marrakech venues in Marrakech to enjoy weddings. 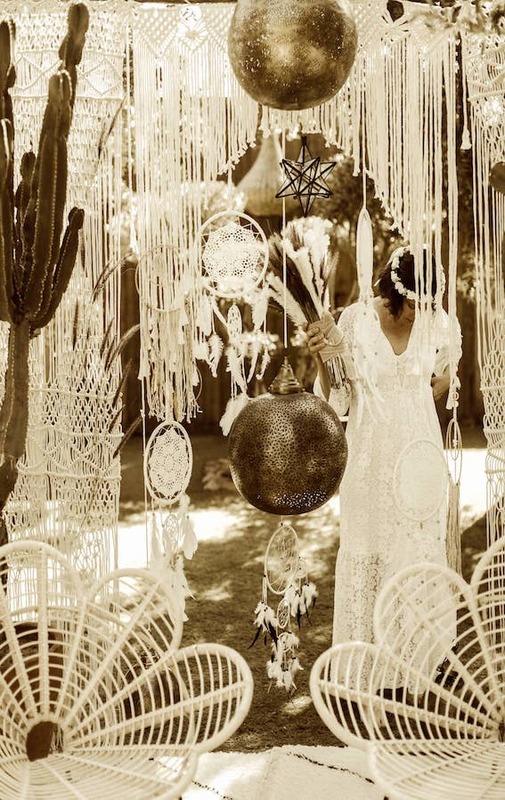 And the luckiest of course are those who personaly got married in a Marrakech villa rental. 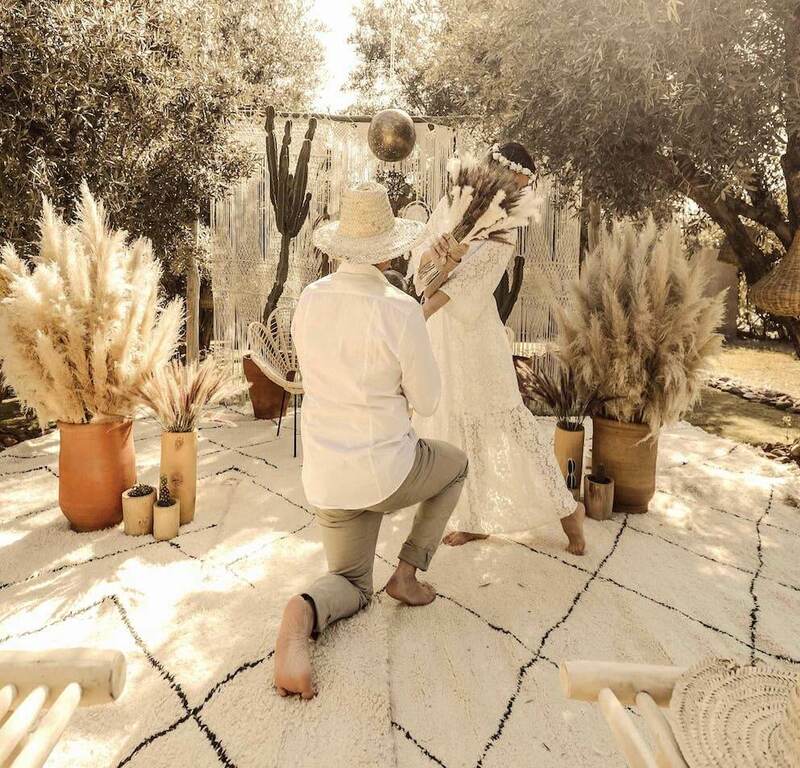 That’s the story of Cathy and Max, they once came to Marrakech, invited to one of their relative’s wedding and they immediately took the decision to welcome all their families and friends the sooner as possible in Marrakech for their own wedding. 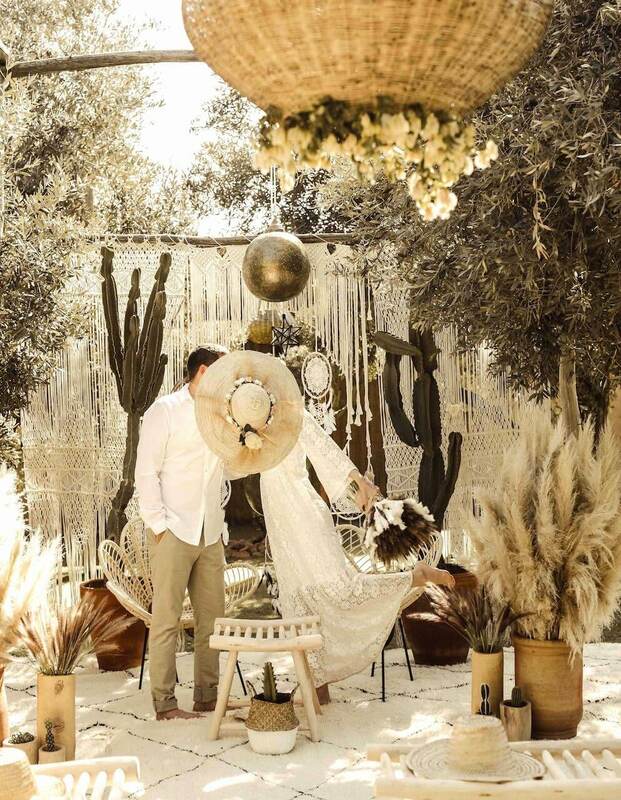 Beautiful, sunny, jolly, exciting, friendly, tasty, and one thousand other words cannot describe the exact sensations that you can live during a weddings in Marrakech. Cathy and Max didn’t want the classic white wedding. They wanted something more natural, countryside, bohemian. 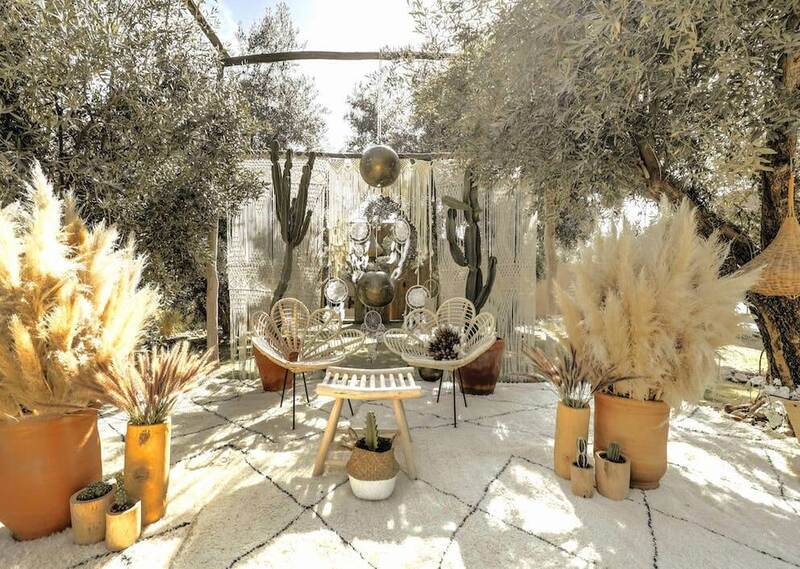 Villa Taj, villa rental in Marrakech located 20 minutes away from city center, surrounded by nature and farms facing the Atlas mountains was a real paradise where they would create the exact chic and cool atmosphere they were dreaming about. 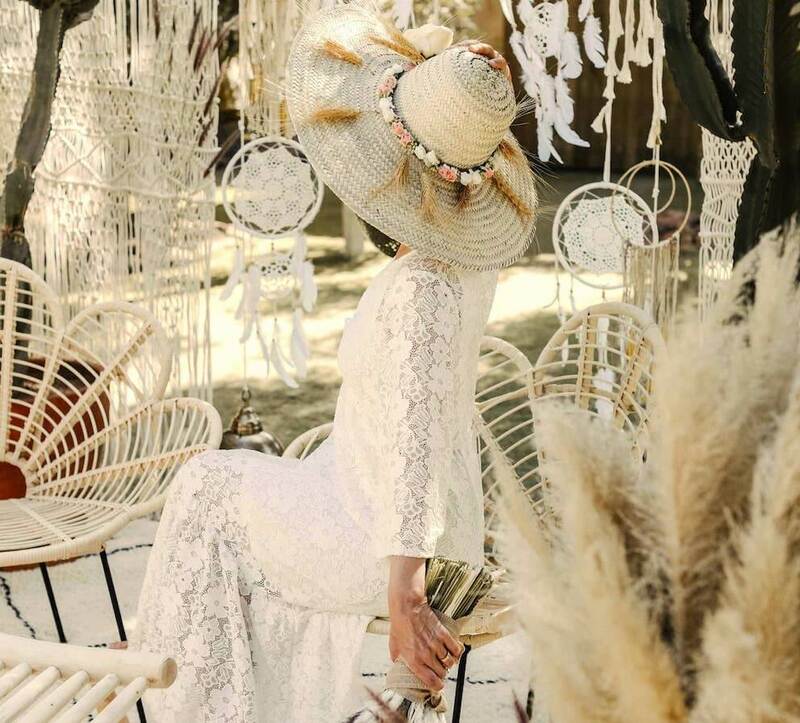 The villa integrated team of professional wedding planners here to manage the whole organization and coordination of the wedding worked on a decoration mixing bohemian and local inspirations. 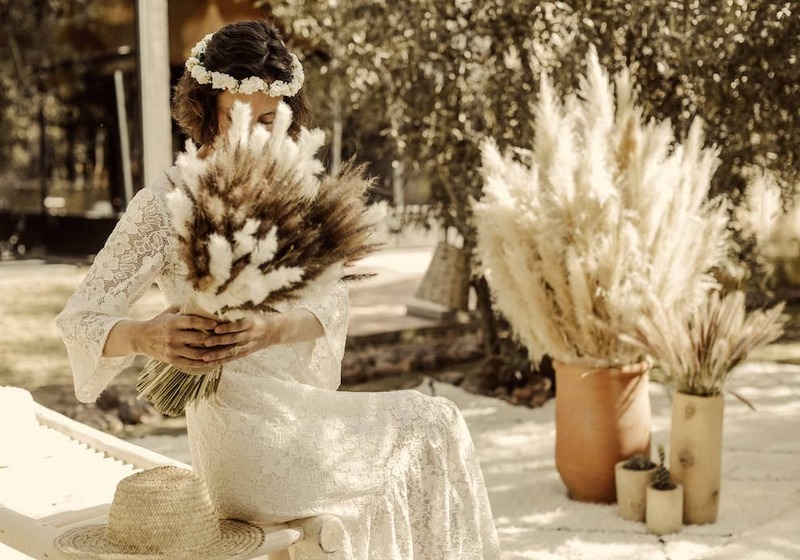 Under the olive grove, the ceremony on handmade and craft designed wooden benches, dry flowers and straw hats, dreamcatchers and traditional copper lamps, huge dry bouquets of pampa grass, wooden structure with a handmade macramé and straw flower chairs to create an intimate and unforgettable ceremony. 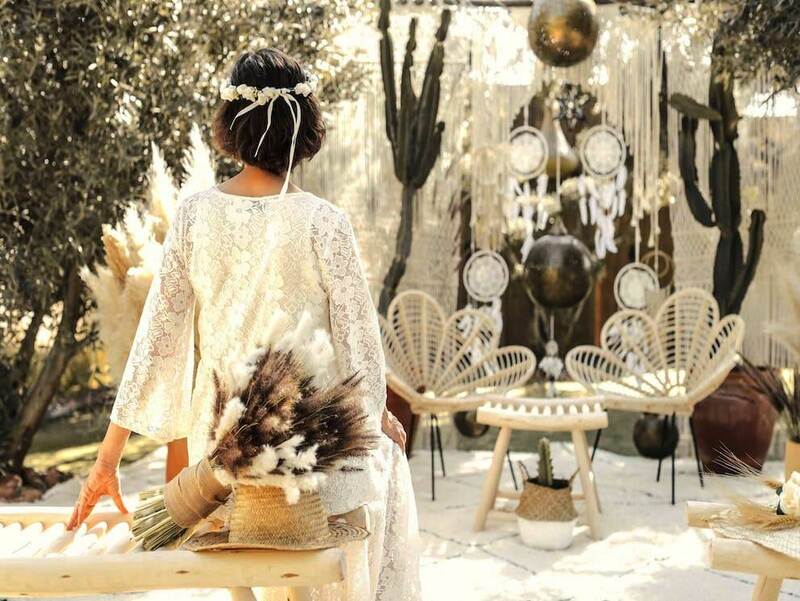 Then, prolonging the magic, the bohemian natural atmosphere is also the main idea of the dinner table set up, with cactus in claypots, flowers creating a link with the ceremony, and the most original touch, plates on real natural logs. The picture is crazy, but living this experience with the smell of the fresh cut wood was incredible. 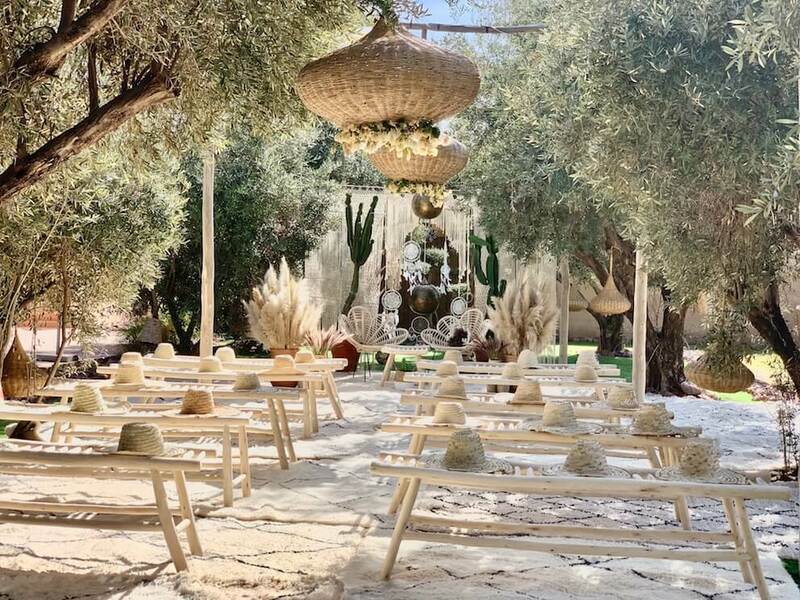 After this dinner, followed by a night party, all guests spent a last moment together at the same place where the ceremony took place the day before but turned into a brunch area with another nice and countryside bohemian spirit during a long lasting buffet lunch at the shade of the olive trees. Eating, drinking, talking, laughing, jumping in the pool, then back, eating, drinking, talking, laughing, etc….